The Seminole Hard Rock Hotel & Casino (SHRT) is home to over 120 live-action table games. 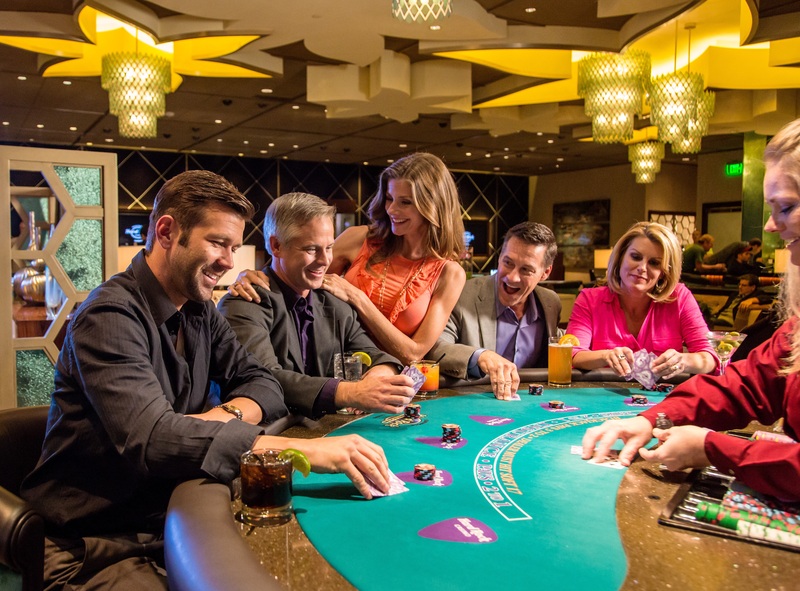 Players are invited to indulge in a relaxing, yet exhilarating game of blackjack dealt to you by one of our many friendly and helpful dealers. A few scholars debate the true origin of Blackjack, however many believe Blackjack originated in French casinos around the 1700s where it was called “vingt-et-un” (twenty-and-one). There are approximately 140 countries in the world with casinos that offer blackjack. The object of the game is not to get 21; the real object is to beat the dealer. (1) hit, (2) stand, (3) split, (4) double down, (5) take insurance. The name Blackjack came about due to a variation in the rules of the original game where payouts were given if a player held the black Jack of Spades. There is a Blackjack Hall of Fame. It honors blackjack experts, authors, and professional players who have made significant contributions to the game. Not many of the table numbers end in 13 because it’s considered bad luck! The seats positioned around a dealer at the blackjack table are called “bases”, and referred to as “first, second or third base”, however these are the only baseball terms that appear in the game. The game has frequently been banned. It became popular in the USA only after being banned in France during the French Revolution. It was then banned in the USA in the 19th century, and only became legal again in the 1930s.